#Badgers Iverson returned home to Ohio with his mother and brother. GOAL!!!! Sarah Nurse with a wrister off a two-on-one breakaway to put @BadgerWHockey up 2-0 with 6:12 left in the first. #Badgers Iverson lost his father on Nov. 9, 2014 to a heart attack. His dad was 43. Rolling with the same starters. 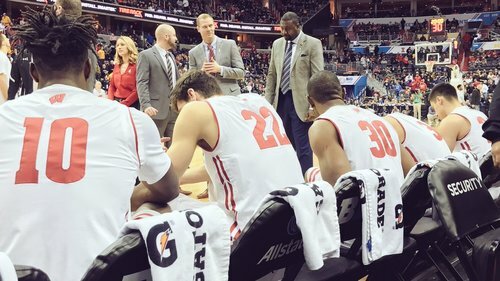 Wisconsin starters: Showalter, Hayes, Happ, Koenig, Brown. 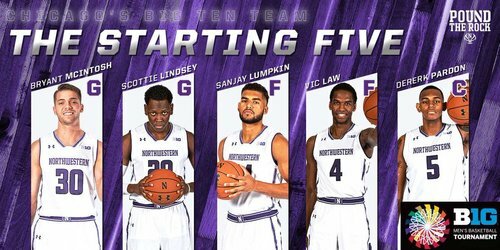 Northwestern starters: Law, Pardon, Lindsey, McIntosh, Lumpkin. Sophomore forward Khalil Iverson isn't with #Badgers today. He returned home to Ohio after a death in the family. Wisconsin Channel @BadgerWHockey stream has artifact that makes the puck look like it has a vapor trail. WHY DOESN'T THE NHL DO THIS?? First period over at LaBahn. UW leads RMU 2-0. Colonials have led possession, but Wisconsin has made more of its chances. BK gets us on the board! #Badgers take the early lead. Bronson Koenig with the first points of the day. NU hasn't hit a shot. Northwestern is ice cold to start. THREE from Koenig. Bronson's scored all of Wisconsin's points so far. UW 5, NU 0. Just had to see the first one go in. Bryant McIntosh makes NU's first shot attempt in eight tries. D'Mitrik Trice also going to check in at the next whistle. Nigel Hayes hits his last 2 shots to build UW's lead. 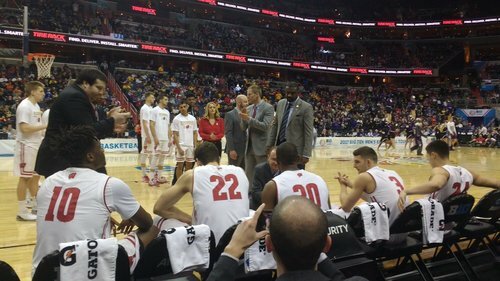 Badgers up 10-2 at 14:26. #Badgers up 10-2 at the first break. Koenig and Hayes with 5 points apiece. Northwestern missed its first 7 shots. At the under-16, Wisconsin leads 10-2. Northwestern is 1 of 8 from the field. Wisconsin is 4 of 9. NU finally gets on the board nearly 5 minutes into the game. Hayes answers with a three on the other end. UW 10, NU 2. Timeout on the floor. Northwestern will shoot a pair of FTs after the break. Hayes & Koenig 5pts each for #Badgers . Sanjay Lumpkin will shoot a pair after the media timeout. Hayes and Koenig 5 apiece for #Badgers . Northwestern missing a lot of good/decent looks early. But offense overall has been stagnant. Gard leaving three bigs in longer than he has in the past few games. Hayes, Happ, & Brown still on the floor together. 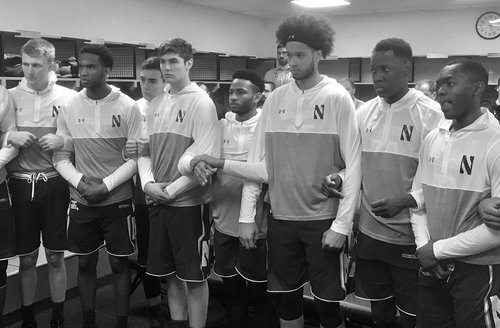 There have been better starts in the history of Northwestern basketball.